With the tree up, my feet up and some gifts wrapped, I can put my feet up and tell you all about my Baby Shower last weekend! 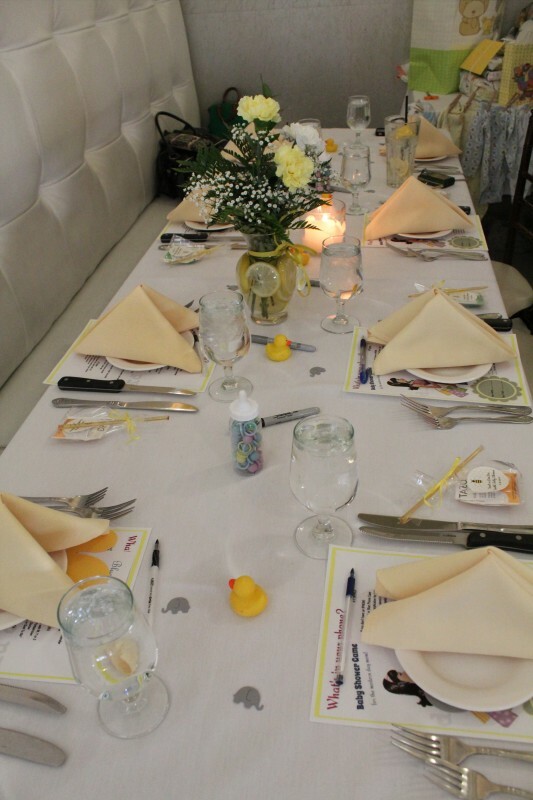 It turned into a Yellow/Gray themed celebration and it couldn’t have turned out more beautiful! I wanted it to be a little different then the typical shower because, lets face it, no one wants to play Bingo and sit through 3 hours of gift opening. I found a couple of cute decorations and games on Pinterest and left it to my amazing girlfriends to make it happen, they did not disappoint! 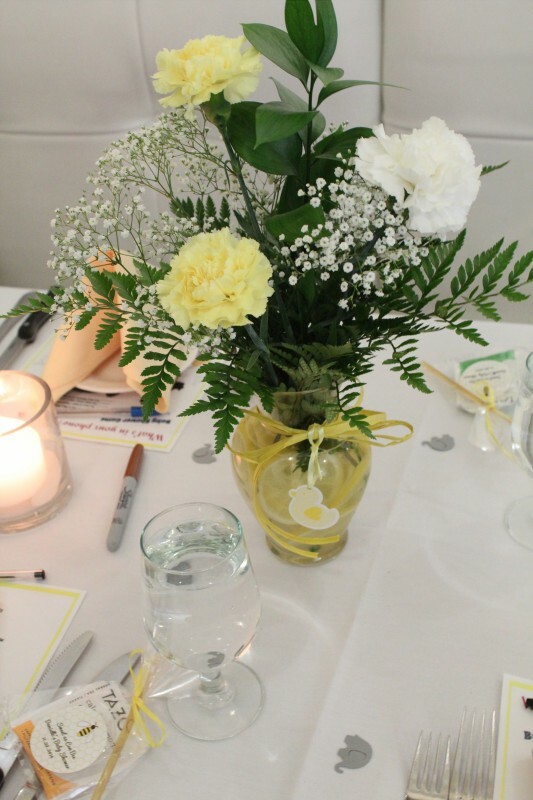 The flowers were super simple and were perfect with lemons in the vase – vase compliments from our wedding! I knew I kept those babies around for a reason. Confetti and garland were from ETSY shop Confetti Momma and they were all so perfect. Courtney also worked with me because I bought a load of goodies. 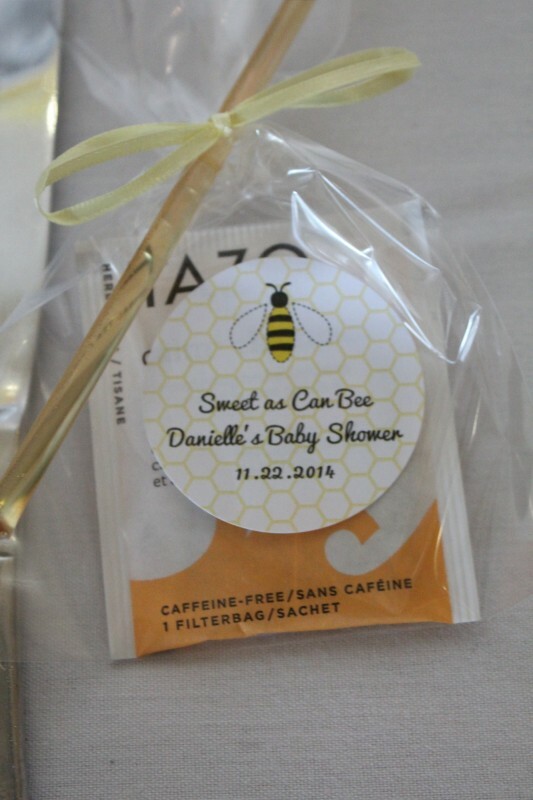 The labels on my Tea and Honey favors came from CanningCrafts ETSY shop also. Two of my best friends created games and prizes and also made the adorable tissue paper pompoms which I thought were SUCH a great touch. Another bestie was in charge of the balloons, “What’s in my Phone” game, prizes and AMAZING clothes line. I just don’t know what I would have done without my friends. They made the day so amazing and relaxing for me and our guests are still raving about how great it all was! We were so incredibly blessed with gifts galore. It wouldn’t have all happened if it wasn’t for my Momma (and Daddy) to throw Kevin and I this shower. 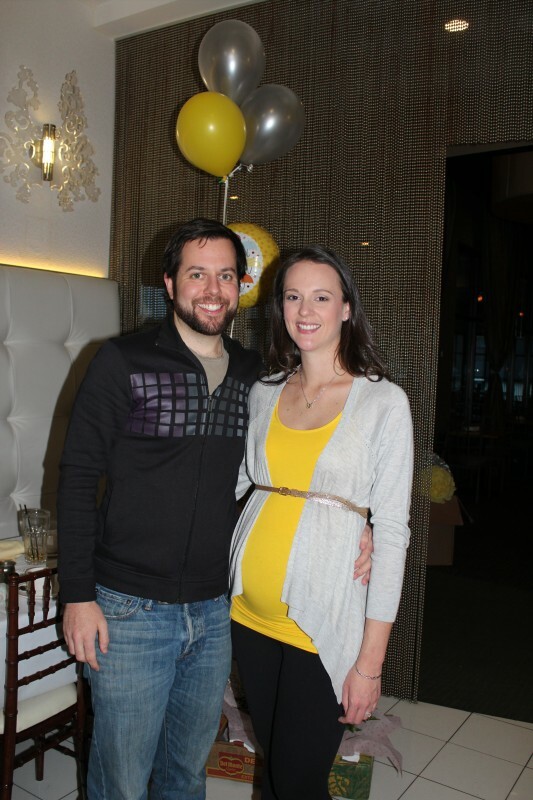 They are the most amazing parents and will be even more amazing Grandparents in a few short months! We can’t thank everyone enough for coming to our shower, especially my Monster Mother-in-Law and Step Mother-in-Law for making the trip from Rhode Island to help us celebrate. 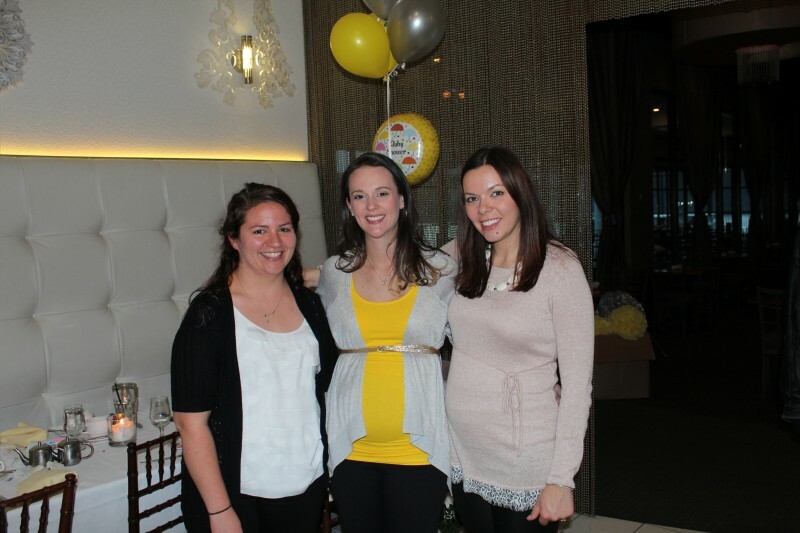 I can’t wait for Baby L’s Rhode Island Shower now! This entry was posted in Uncategorized on November 30, 2014 by Danielle Laroche. 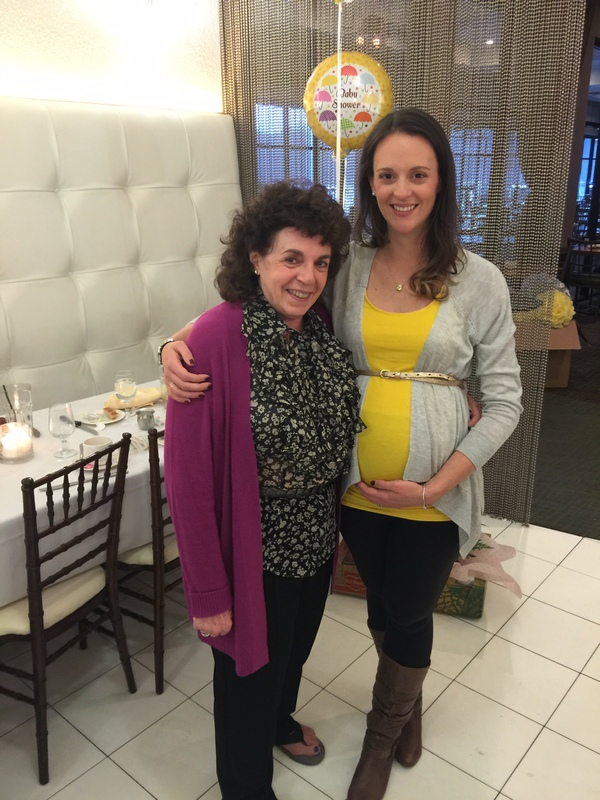 You are a stunning mom-to-be Danielle! The party came together so beautifully. 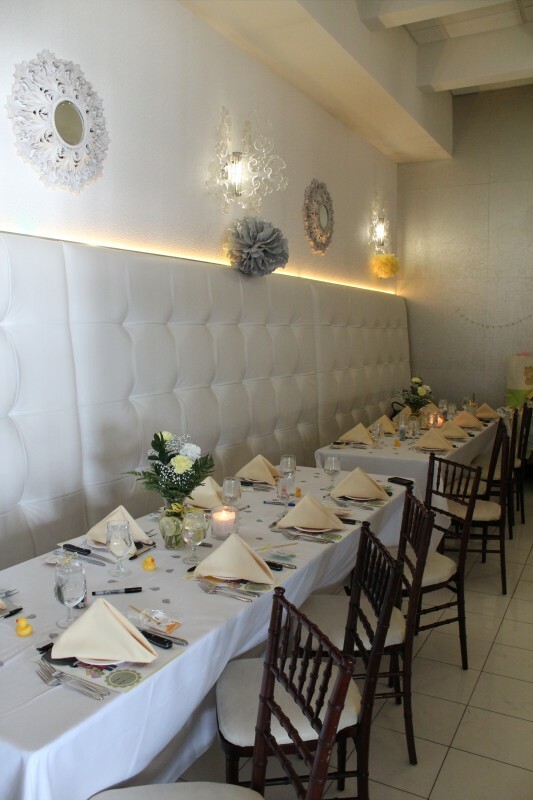 I’m so glad we could help with some of your decor!